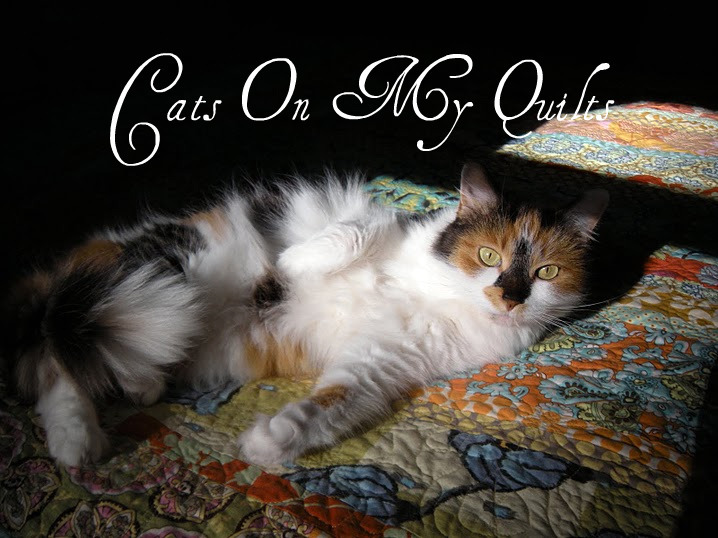 Cats On My Quilts: What is Going on Here? So I'm back from Cape Cod and trying to get into some sewing during the summer which I have off from the college I work at. I really wanted something simple and what's simpler than just strips of fabric in different widths and sizes. These Amy Butler large prints seemed perfect for this since they don't lend themselves well to being cut up into small pieces. Simple? What am I, crazy? 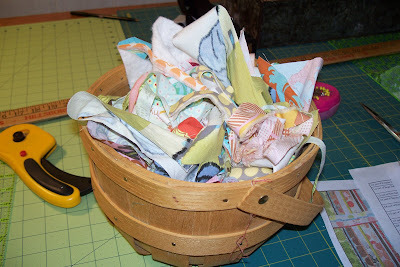 This quilt seems to have stymied me from the begining. You have to consider scale and color and the texture of all these fabrics which will be residing next to each other and I want happy neighbors so it's taken me a while to get it together. So as I ponder and stare at the remains of the day you may see this quilt someday but right now that day seems a long way off. Keep going -- it's lookin' good! 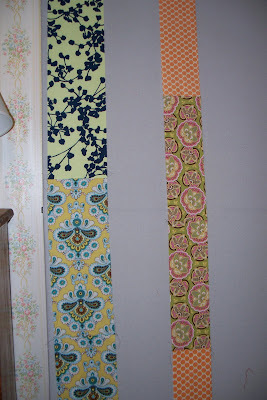 Those are great fabrics for that quilt. Oh man, I get it. I totally get it. I'll be watching to see what you do with those strips - looks interesting. Your picture of Cape Cod from the prior post makes me yearn for a get away at the beach! 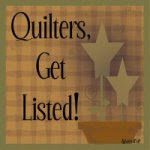 Sometimes us quilters just need to "do it" (as Nike shoes ads used to say) instead of "thinking of doing it".......good luck. I'll have to stop by and give you some help. Sometimes a daughters eye sees what you don't! 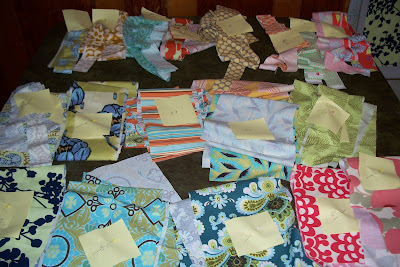 I think sometimes if you have to think too hard about a quilt, it is time to put it away for a little while. A least until you are thinking more clearly. I always move onto something that I don't have to think about too much. I am sure when you get back to it, you will get it done.